Beer batter anything always gets my heart to racing just a little. Well, maybe A LOT! 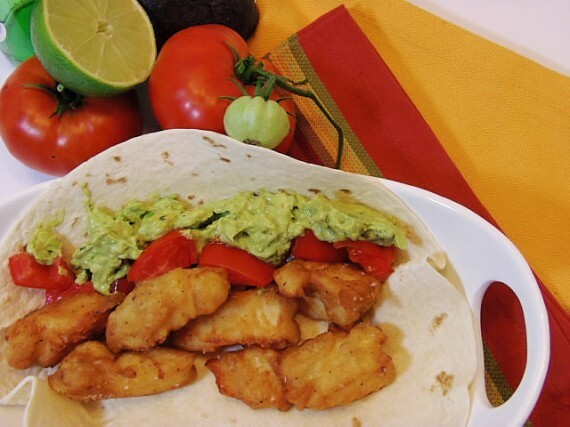 When I spotted this recipe for Beer Batter Fish Taco’s on So Tasty, So Yummy’s blog, I just knew beyond a shadow of a doubt, that this would be my choice for September’s Secret Recipe Club. 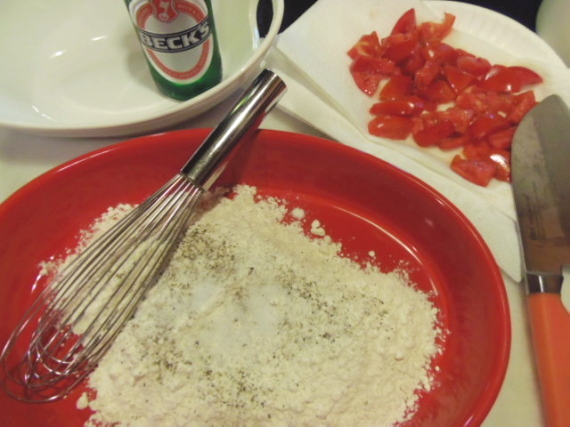 – In a large shallow dish, mix together the flour, salt, pepper, cumin and beer. The batter should be thick. 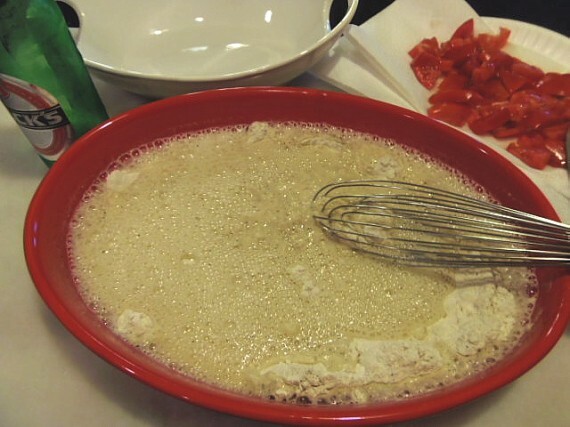 -Allow the batter to sit for a few moments while you cut the fish into 2″ pieces. -Season the fish with additional salt and pepper. -In a large, high sided skillet or dutch oven, heat 3″-4″ canola oil, so when you dip the handle of a wooden spoon into the oil thousand of tiny bubbles form around the spoon handle and float to the top. 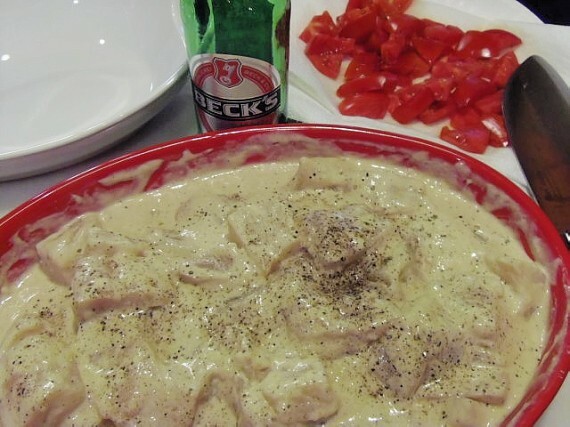 -Meanwhile, add some of the cod chunks into the beer batter and toss to coat the fish liberally. -Set the coated chunks aside and continue with the remaining fish. 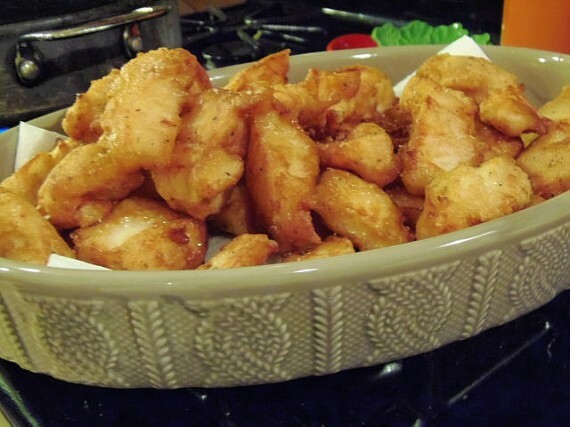 -In batches, fry the coated fish in the canola oil until nice and deep golden brown. 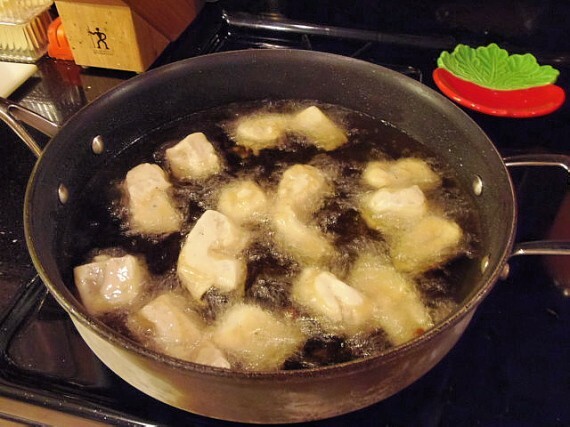 -Remove fish with a slotted spoon and keep warm. -Continue with the remaining fish. -Mash the avocados in a large bowl. 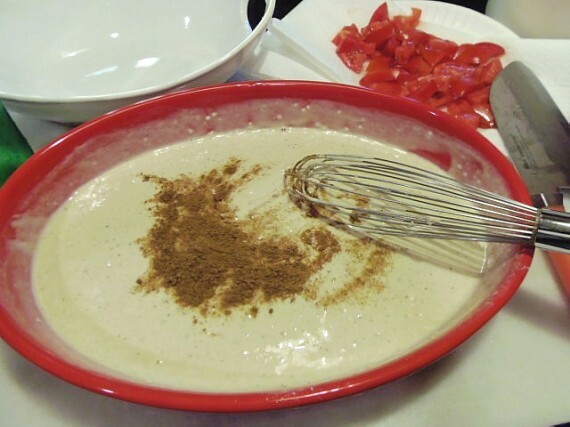 -Add the yogurt, garlic, cilantro, lime zest and juice, salt and pepper, smoked cumin and ground coriander. 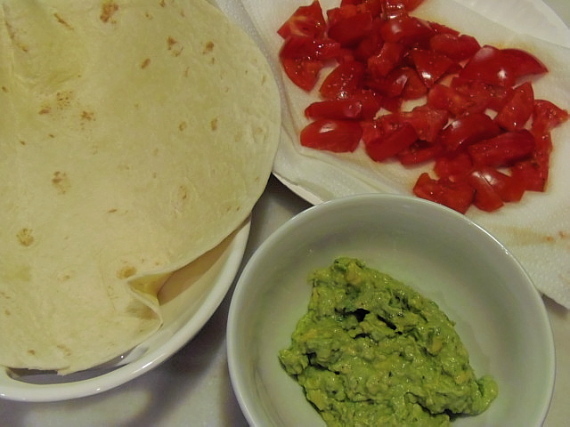 -To serve, add some of the fish chunks to a flour tortilla, top with the avocado sauce and the chopped tomatoes. If you like beer batter anything, I strongly urge you to try this recipe…It’s as delicious as it is colorful!!! We LOVE fish tacos in our house. I can't not wait to try these! Great Secret Recipe Club choice this month! I agree! I love beer batter! Beer battered fried pickles are one of our favs! These look great though! That is so awesome that you are using the picture as your screen saver. So glad you enjoyed the tacos! 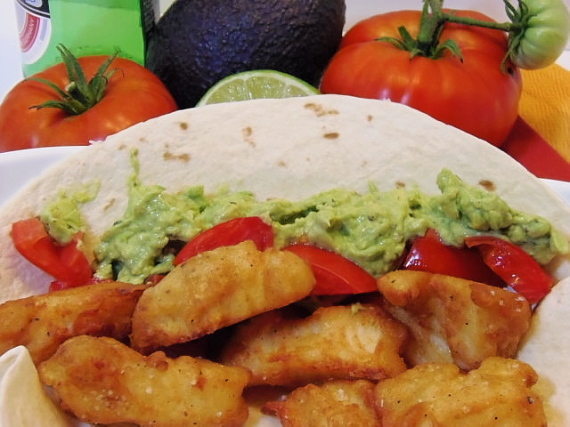 I'm not a big fan of fish, but I love the battered nuggets in the tacos! Great idea! This is mouthwatering! Great SRC pick! That battering looks divine! Great SRC choice! I'm not a fish eater by my husband is. I really should surprise him with these for our next taco night! I love fish tacos. I always order them when i go out to eat yum!! !